The Vintage Recipe Project is a labor of love. 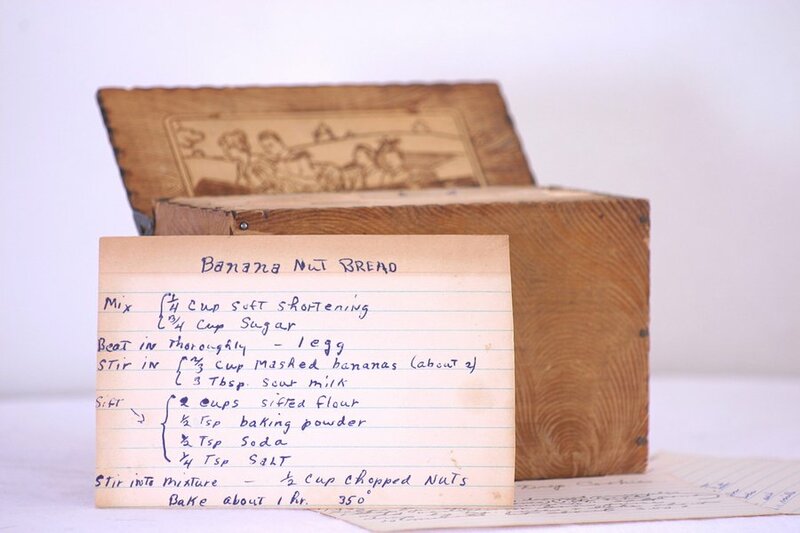 Our goal is to collect vintage recipes from various sources to document and preserve the recipes of our past. Click here to view our Vintage Recipe Box Index to learn more about each box and the goodness found inside. If you have vintage recipes that you would like to share with us, please use our contact form to tell us about your awesome recipes. All recipes are assumed “original” unless otherwise notated on the recipe card. Credit to the author or owner of the card will be notated when available. Sources will be notated such as newspaper name and date when available. Recipes will be rewritten for reader enjoyment and usability when necessary. We understand copyright and will attempt to be within all the laws regarding copyright when posting the vintage recipes. While we would love to cook and test each recipe, it is not possible. When we do prepare one of the recipes, we will share the final images on the site. Billie is a recipe blogger who longs to have the recipes of her grandmother and great grandmothers. Unfortunately, the recipes were never written down and they were never shared with other family members. With a passion for family history, the vintage recipe project fuels her passion for food and preservation of our past which is slowly being lost from generation to generation. She hopes to inspire families to document their family food traditions to pass down to the next generation.